XINLEHONG TOYS 9125 1:10 Brushed 4WD Off-road RC Car - RED WITH BLACK w cenie $71.99 | Chińskie kupony rabatowe, zniżki i okazje! Informacje o dostawie: Ship between: Feb 21 – Feb 26, Estimated Shipping Time: business days Order Processing Time may require a few days. Once dispatched from warehouse, Shipping (or Delivery) Time depends on the Shipping Method. 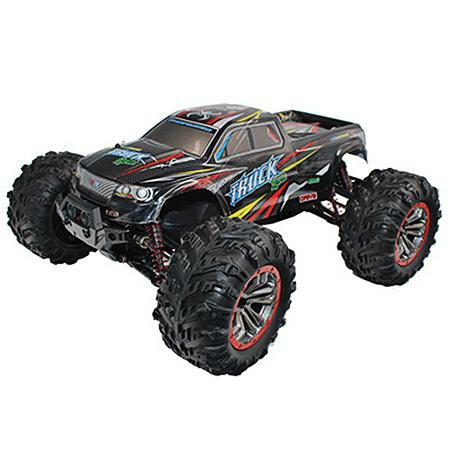 The 1:10 RC car has a dual motor drive, which allows you to have a super-fast dynamic experience, and the Li-ion battery of 7.4V 1600mAh can reach a maximum speed of 46km/h, which can last 10 minutes. The whole car adopts the metal drive bearing, and the forward, backward, left and right turn can be done perfectly.